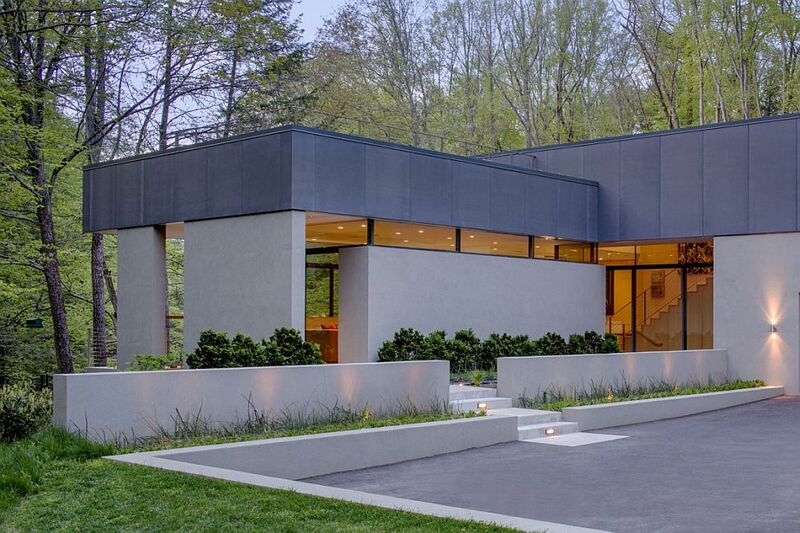 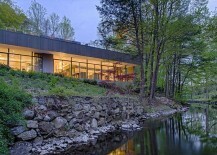 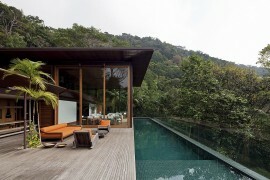 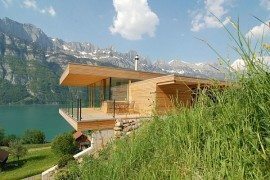 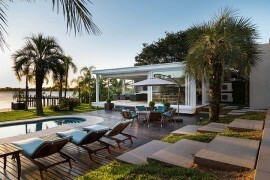 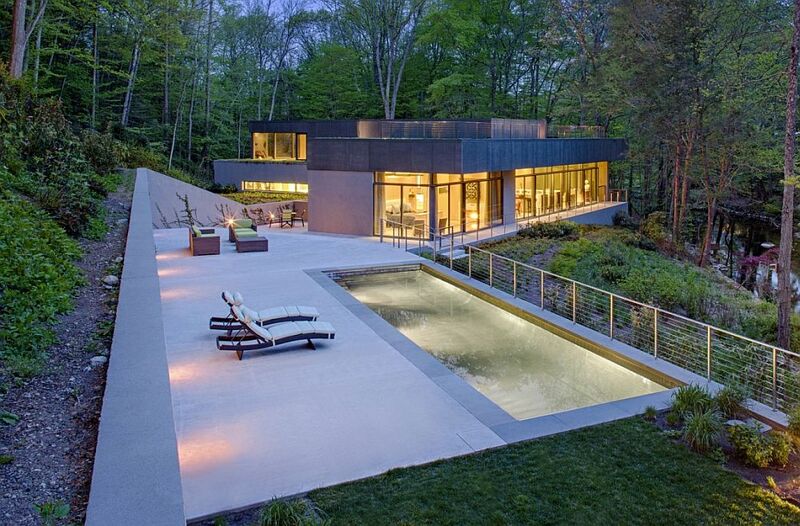 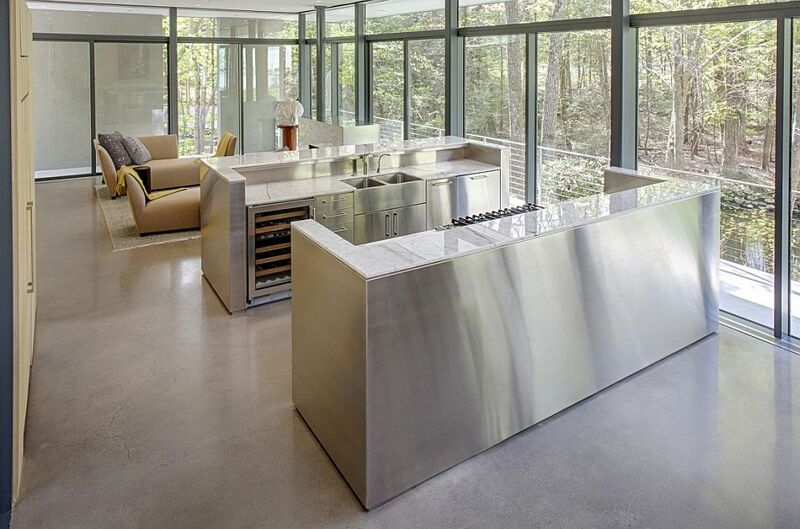 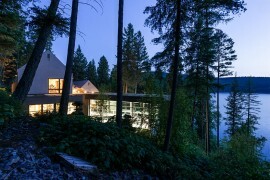 There is something undeniably beautiful about lakeside houses with glass walls that captivates people the world over. 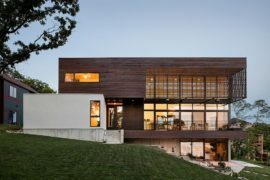 Maybe it is the seamless connection with natural landscape around, or the novelty and tranquility that an element like flowing water brings to the home, but it is one tried and tested template of home design that never fails. 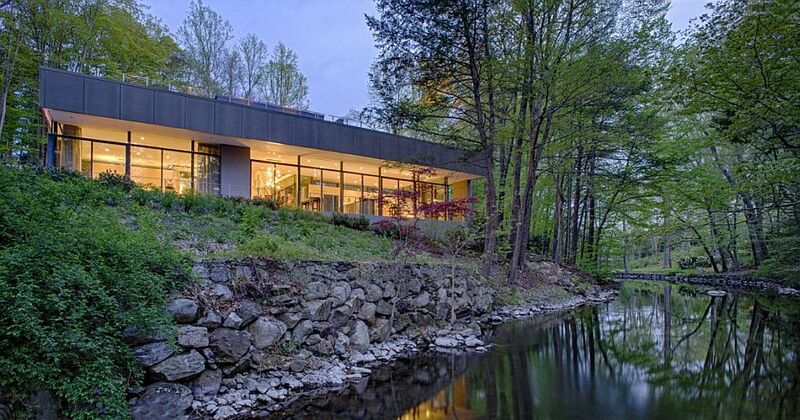 Following this path is the gorgeous Weston Residence nestled in a valley adjacent to the Saugatuck River in Connecticut. 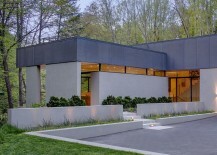 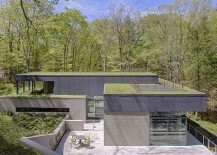 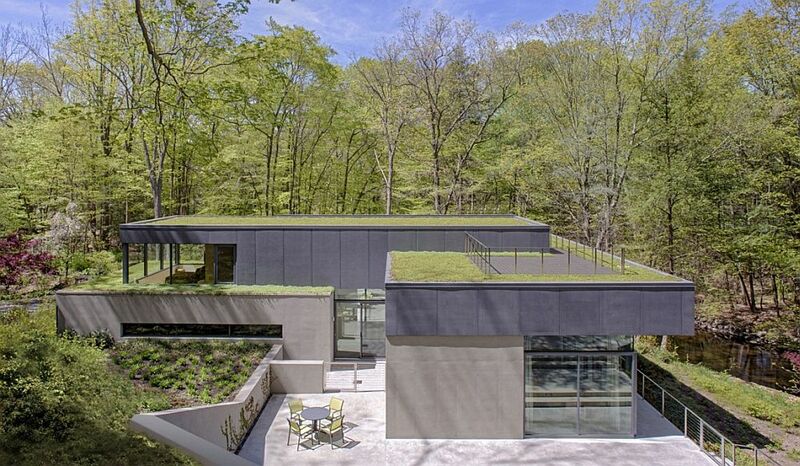 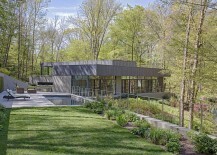 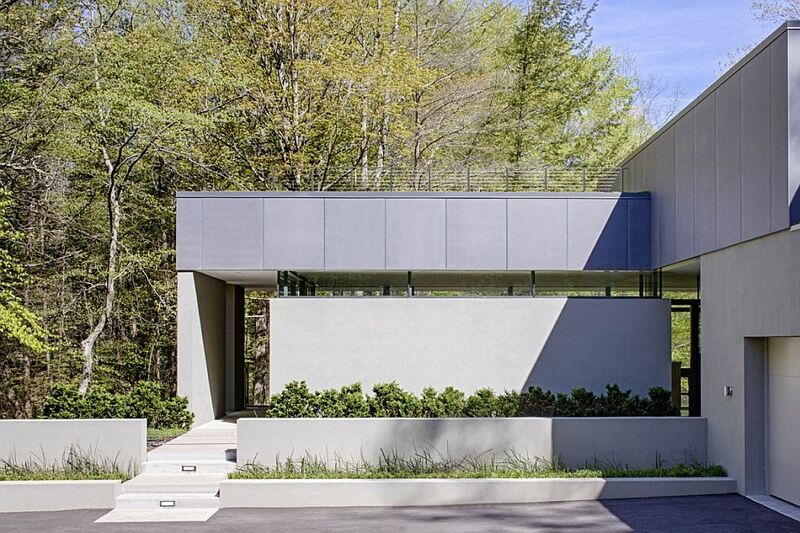 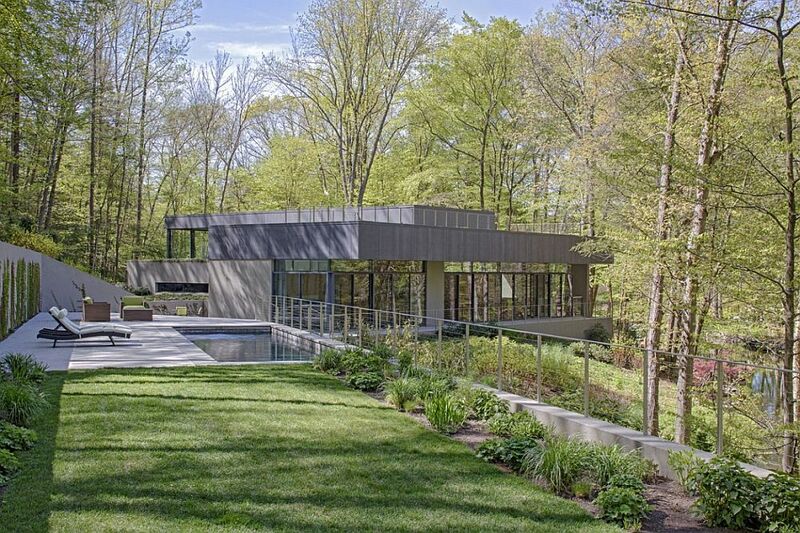 Spread across an area of 2,400 square feet and designed by Specht Harpman Architects, this home blends in with the greenery that surrounds it. 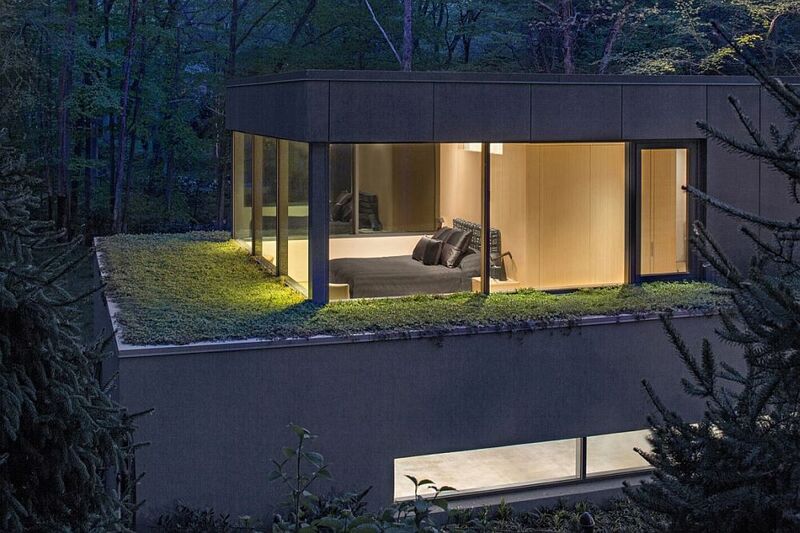 The heart of this project actually sits outside the residence, as the beautiful roofscape and terraced planes around it blur the line between the natural canopy and the artificial structure. 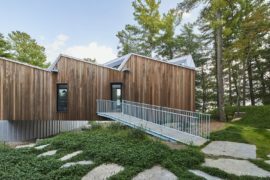 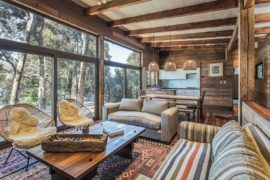 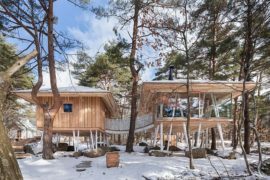 Topped off with year-round, region-specific succulents, these gardens provide a relaxing abode while acting as a transition zone between the contemporary interior and the forest canopy outside. 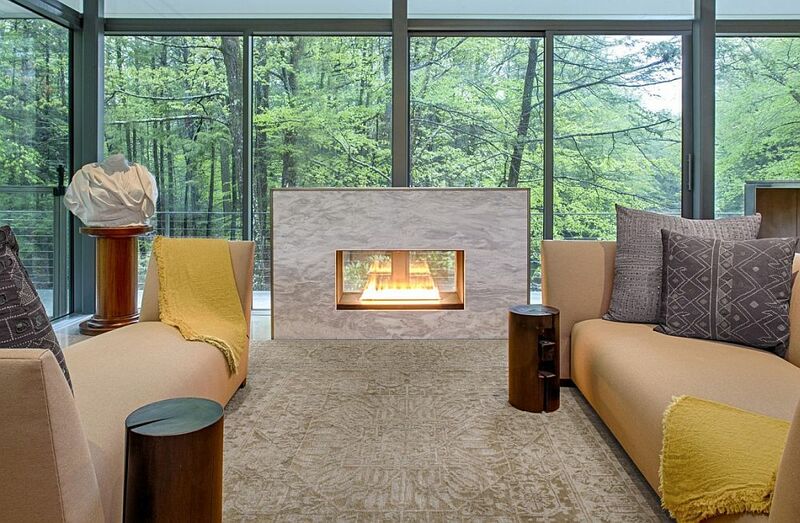 With lovely, unabated lake views from both living areas and the private bedrooms on the top level, this is one house where the varying colors of nature and seasonal changes help shape the backdrop of each room! 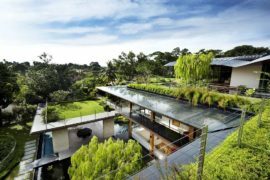 The green roofs also aid in improving the energy efficiency of the home and acts as an additional layer of insulation all-year-long. 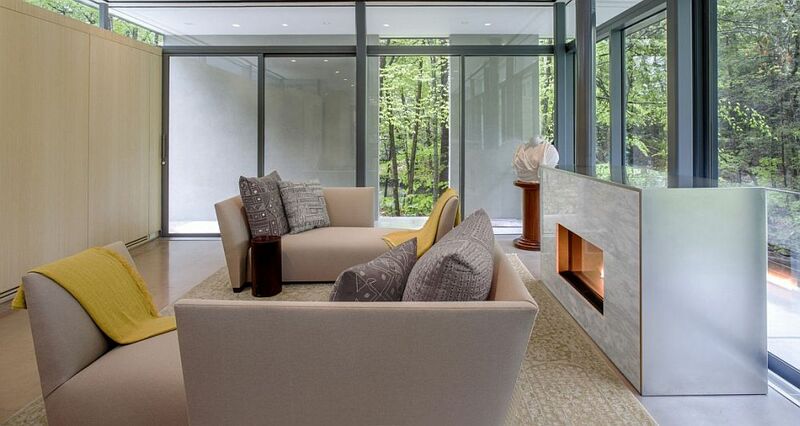 Warm lighting, uncomplicated design and a neutral color scheme complete this mesmerizing, modern escape.